Located in the southern Guangdong province and bordering Macau, Zhuhai is a premier tourist hotspot in China. Recently, it is also the host to the Changlong International Circus Festival, of which the committee selected the HARMAN’s Martin M6 Console to control and calibrate the lighting systems on and around the stage. Local Martin distributor Guangzhou Dan-Pro Stage Equipment Co., Ltd recommended the console Martin not only to match the popularity of the venue, but also to provide a compelling experience to such a joyous event. The Martin M6 console offers the most advanced visualization of lighting control, accommodating a wide product range from traditional fixtures to moving lights and even the most advanced media servers with ease. The setup for the festival features two M6 consoles of the 64 channel version, as well as eight Ether2DMX8™ DMX routers. The show features 10 consecutive days of clown acts, circus and aerial acrobatics, animal performances and magic acts, pushing top groups around the world to exciting levels of brilliance. Since there are no two acts alike, all participants had different requirements for synchronizing the lighting effects with their performance. Powered by an industrial multi-core processor and solid-state drives, the M6 console is well equipped to endure such a long and arduous event. 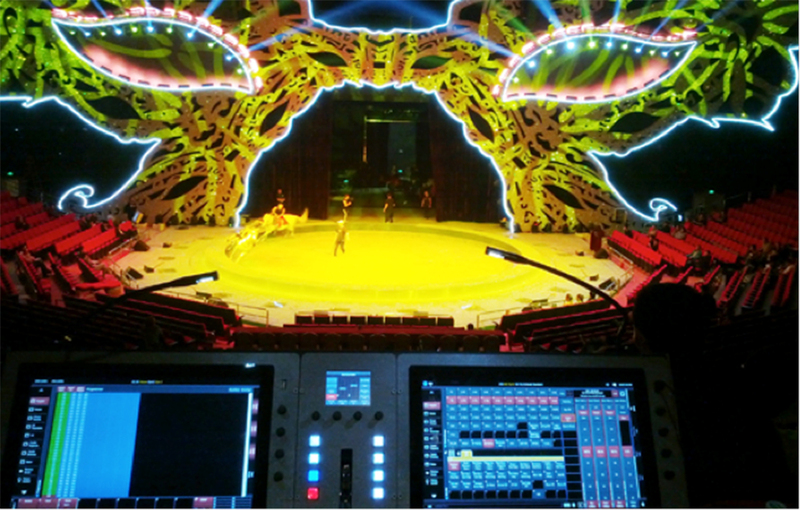 The Circus Festival organizers, Changlong Group’s board members, and technical staff were all satisfied with the performance of the Martin M6 console, and praised it for its design and effectiveness. The operators found the controls to be “ambitiously effective” and thus, the M6 will continue its mission to accommodate regular programs for the Changlong International Circus.